The church contacted me to let me know there was a baptism coming up for 7 year old boy. Thinking that a 7 year old boy would not appreciate a playmat - I decided to make a quick Twin sized quilt to welcome him into the church community. The front of the quilt is very simple. Soft deep blue flannel with his name appliqued on the front in a bright green fabric. 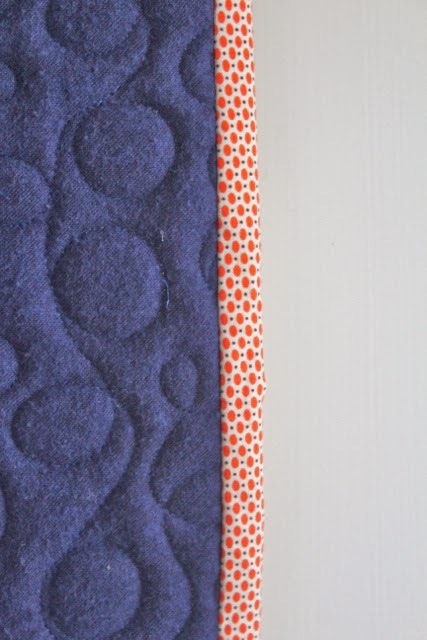 The quilt has a contrasting orange cotton binding. I quilted the quilt with a simple swirly pattern. Putting together the quilt (not including the binding) took only 5 hours. And for someone who usually spends a great deal of time & effort on quilts I felt nervous that the result would be lacking. Although simple this quilt feels gorgeous - the wool batting, flannel & light quilting design gives is a warm yet very flexible feel. I hope the little chap will enjoy wrapping himself in it. The bit I am really pleased with though is the back. I pieced the back out of colorful fabric from my stash. 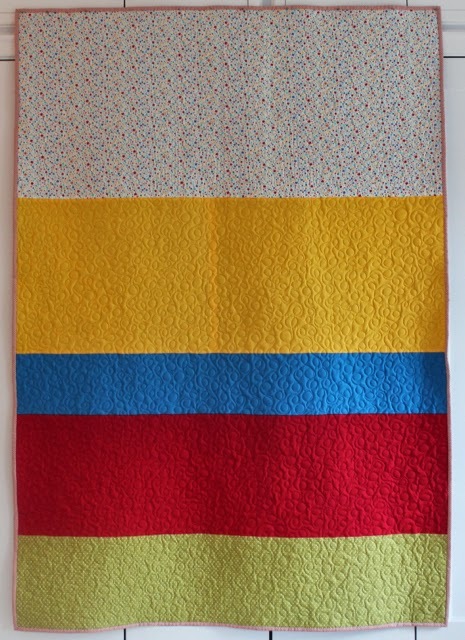 The wonderful thing about Freddie is that the quilt leaders have measurements marked along them - which enabled me to get the backing totally lined up - the strips came out perfectly horizontal. The colors remind me of lego somewhat. I have been asking a lot of people about their opinion on patchwork seams and if they should be pressed open/flat or pressed to one side. There seems to be some debate about this regarding this in the quilting world. But I have decided that pressing your seams open on the backing does make a huge difference. 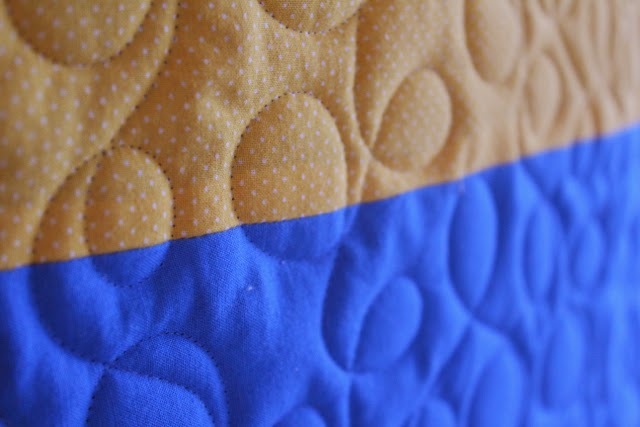 Just look how flat & cleanly that backing sits - even with such light quilting. Delicious! 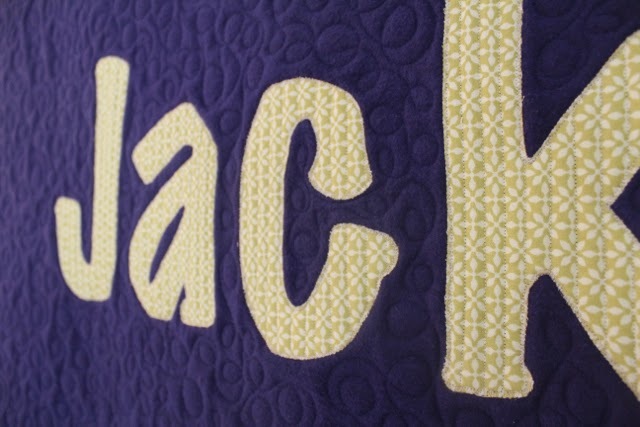 What a great idea for a quick quilt -- it looks perfect! The family were really sweet & actually wrote a thank you - amazed at how much they liked it as I've never made a quilt so quickly - maybe I should learn something from that! !